and save up to 40% off the regular retail price. Chloe Sevigny, Boys Don't Cry. 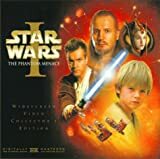 Star Wars - Episode I: The Phantom Menace.